IMPROVISED IN COMBAT, flame-throwing units dropped from the air were quickly effective in driving Communists from underground bunkers, caves and connecting tunnels in Korea. Maj. Clair L. George of the Second Infantry Division designed the airlift attachment when it proved impossible for foot soldiers to pack the heavy, bulky weapon into rugged mountain passes and retreats. 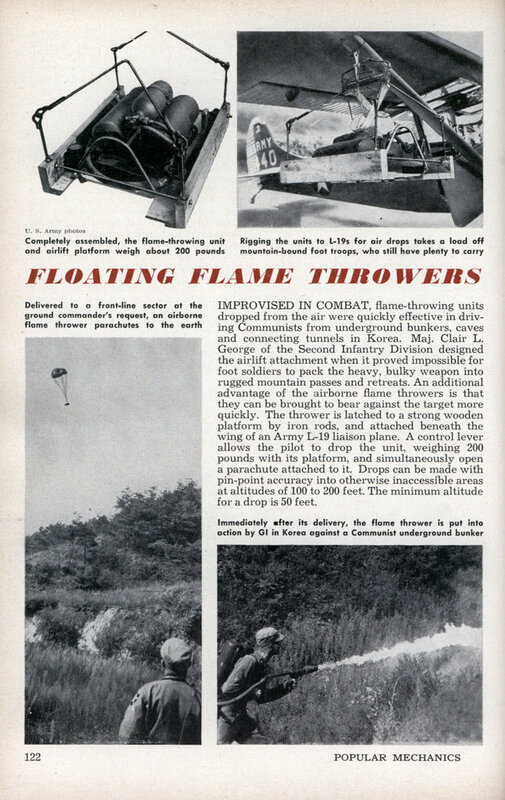 An additional advantage of the airborne flame throwers is that they can be brought to bear against the target more quickly. The thrower is latched to a strong wooden platform by iron rods, and attached beneath the wing of an Army L-19 liaison plane. 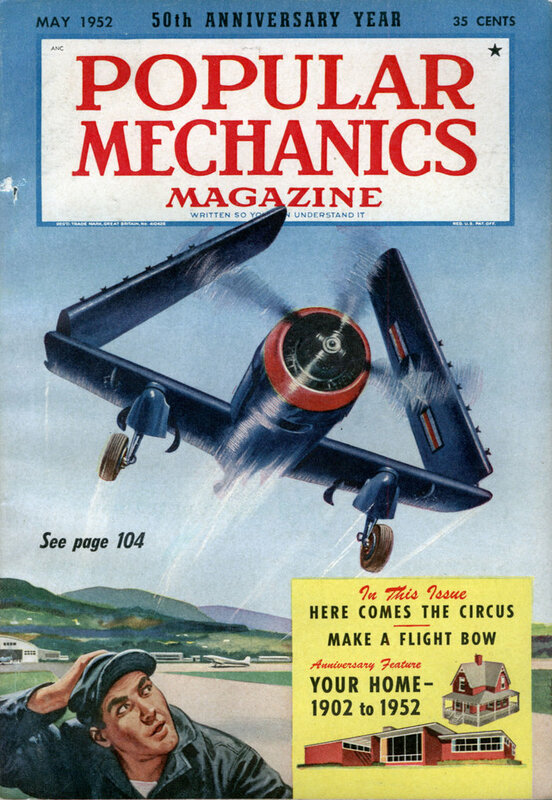 A control lever allows the pilot to drop the unit, weighing 200 pounds with its platform, and simultaneously open a parachute attached to it. Drops can be made with pin-point accuracy into otherwise inaccessible areas at altitudes of 100 to 200 feet. The minimum altitude for a drop is 50 feet.